Iran has dismissed as groundless the recent claims made by the Emirati minister of state for foreign affairs about Tehran’s interference in the internal affairs of Arab countries. The Emirati official had better express his opinions with more realism and avoid repeating hackneyed and baseless claims, which have no result but the exacerbation of divergence among regional countries, Iranian Foreign Ministry Spokesman Bahram Qassemi said on Saturday. In a post on his Twitter account, Anwar Gargash claimed that Iran’s interference in the internal affairs of Arab countries had caused instability in the region and said Iran needed to cooperate with the Persian Gulf countries to hold dialogue based on transparent principles. “The Islamic Republic of Iran, with the backing of its popular power, has well distinguished its interests and made all-out efforts to establish and maintain convergence, peace, stability and security in the region while regarding defense against hostile attitude and policies as a legitimate right of the Iranian nation,” Qassemi said. He emphasized that Iran has always placed emphasis on the principles of dialogue, respect for sovereignty of countries and good neighborliness in the region and expressed its keenness to enjoy rational and balanced relations with all its neighboring states. 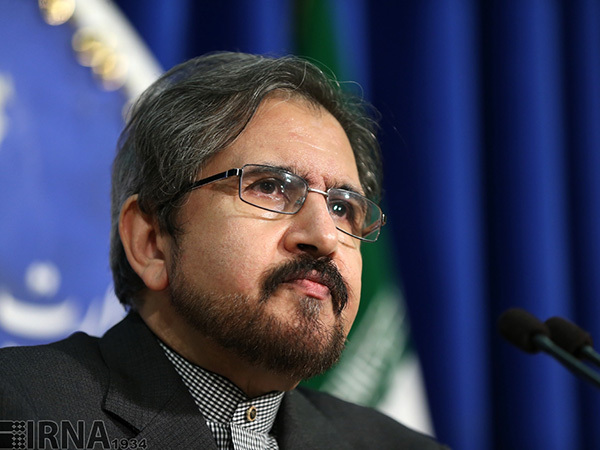 The Islamic Republic hopes that other regional countries would also understand the ongoing international circumstances and make more efforts to establish such relations, Qassemi said. The Iranian spokesperson said the change of a policy of leveling accusations and unconstructive and useless claims about an undeniable truth regarding Iran’s effective and stabilizing role in the region would be among the first steps to strengthen cooperation and constructive interaction. The allegations against Iran were leveled after the Emirati Foreign Ministry on Thursday summoned the Iranian chargé d’affaires in protest at what Abu Dhabi claims to be Tehran’s “provision of weapons” to Yemen’s Houthi Ansarullah fighters. Abdul Rahim al-Awadi, the United Arab Emirates’ assistant minister of foreign affairs and international cooperation for legal affairs, handed the Iranian envoy a note of protest and said Iran’s provision of arms to the Houthis violated a number of United Nations Security Council resolutions, which prohibit such arms supplies. The United Arab Emirates is a key Saudi ally in its deadly aggression against Yemen, which was launched in March 2015 in a bid to reinstall the ex-Yemeni government and crush the Houthi Ansarullah movement.